The 115-piece kit contains essential first-aid supplies to help treat most common injuries, including cuts, scrapes, swelling, sprains, strains and more. Help your family when they need you most with the Deluxe Family First Aid Kit from the American Red Cross. The 115-piece kit contains essential first-aid supplies to help treat most common injuries, including cuts, scrapes, swelling, sprains, strains and more. Housed in a zippered case with handles for easy carrying, the kit includes the American Red Cross Emergency First Aid Guide and a unique ring binder design that allows you to view important first-aid information on the left while coordinating supplies that are stored neatly on the right. All contents are latex-free. You can restock your kit at any time with items from our Deluxe Personal First Aid Kit. Deluxe Family First Aid Kit is rated 4.8 out of 5 by 31. Rated 5 out of 5 by LesterQ from Good solid product. 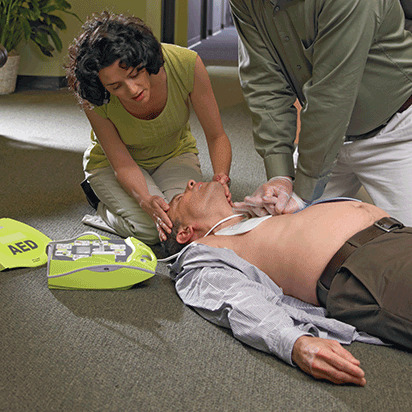 Comprehensive product to get one started in first aid. Rated 5 out of 5 by Brucie from Everything a lay person needs Kit contains everything need for basic first aid. Keep in vehicle at all times. Rated 5 out of 5 by mamamia from good kit bigger than expected. i guess it has everything needed. trust red cross on that! Rated 5 out of 5 by PainterJeff from Excellent First Aid Kit Excellent First Aid Kit! I contains everything we need to be prepared for first aid. Rated 5 out of 5 by Doctor Dean from Exactly what I hoped it would be. I like everything about it. Even the carrying handle adds to its usefulness. Rated 5 out of 5 by Williesmom from Great comprehensive kit! Everything in the kit is so handy and useful but I especially like the instructional booklet. Great refresher. I feel better having this around as opposed to a scattering of bandages and Neosporin in my medicine cabinet. Rated 5 out of 5 by Gin Gin from Perfect for burned out California Family. My daughter and her family lost their house to fire. I immediately thought of this kit since they had nothing. This Deluxe kit will be a foundation for them to build their first aid needs. She was grateful to receive this kit.